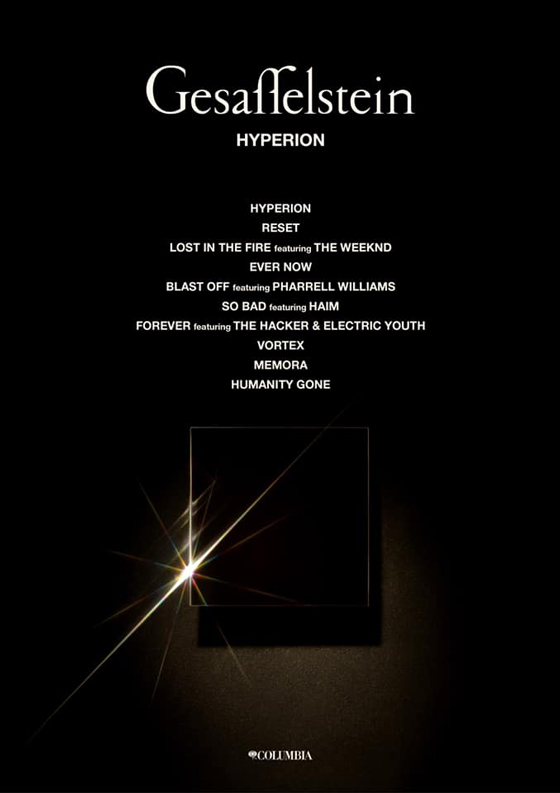 After months of teasing the star-powered effort, Gesaffelstein has finally unleashed his Hyperion album, and you can hear the entire thing right now. Arriving today through Columbia, the 10-track release features the Weeknd, Pharrell Williams, HAIM, the Hacker and Bronwyn Griffin. It marks Gesaffelstein's first release for the label. Gesaffelstein released his debut LP, Aleph, in 2013. Take in Hyperion in the players below. ​Watch Bono and Pharrell Perform a Totally Cheesy Cover of the Bee Gees' "Stayin' Alive"
​Kendrick Lamar, Pharrell and Mike WiLL Made-It Drop 'Creed II' Track "The Mantra"
Hear SZA, the Weeknd & Travis Scott's 'Game of Thrones' Song "Power Is Power"
​Hear Gesaffelstein and Pharrell Williams Join Forces on "Blast Off"